National Book Week, a partnership between the South African Book Development Council and the DAC, was celebrated from 7 to 13 September 2015. The initiative promotes literacy, celebrates reading. Reading statistics report that only 14% of the South African population are active book readers, and a mere 5% of parents read to their children. 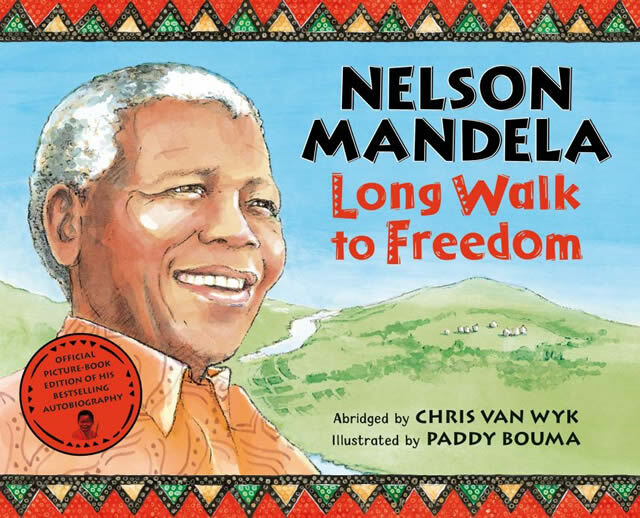 In an effort to full its key objectives, the national campaign focused on two key facets - getting people to read and getting more books to South Africans. #GOINGPLACES reflects the physical journey of National Book Week travelling throughout South Africa, as well as the magic of books and how reading books can both figuratively and literally take you places. This campaign, which primarily aims to encourage book reading, targets adults, children, youth and students, as well as librarians, teachers, parents and caregivers. #BUYABOOK is a call to action which seeks to increase the perception of the value in books, particularly for those who do not own any. First in line to heed this call has been publishers Pan Macmillan SA, Penguin Random House SA, and NB Publishers who have offered discounted books that will be sold in Bargain Books and Exclusive Books stores nationwide. In 2015, Marlene van Niekerk became the first South African author to be shortlisted for the Man Booker International Prize. She was recognized for outstanding lifetime achievements in fiction, including works like Triomf and Agaat. She also received the Order of Ikhamanga in 2011 for "her outstanding intellectual contribution to literary arts and culture". Being recognised by your own is truly special. I have received many awards in my life, but this makes me very emotional. I am deeply grateful,” Dikgang Moseneke, author and former Deputy Chief Justice of the South African Constitutional Court, when accepting the 2017 South African Literary Awards’ Creative Non-fiction Award category for his memoir, My Own Liberator, at the 12th SA Literary Awards ceremony, 7th November, UNISA, Tshwane. As always, SALA lived to its mantra of “…taking our literary heritage to greater heights…”. 2017 saw twenty one (21) authors in ten (10) categories and seven (7) South African languages being honoured. For the very first time, the Awards included the !Xam and !Kun, albeit being honoured posthumously, the five groundbreaking oral authors, |A!kunta, !Kabbo, ≠Kasin, Dia!kwain and |Han≠kass’o, contributors drawn from Wilhelm Bleek and Lucy Lloyd’s collection of !Xam and !Kun narratives, verses, songs, chants, drawings and other materials consisting of over 150 notebooks running into some 13 000 pages, which is considered a unique cultural and literary collection recognised by United Nations Education, Science and Cultural Council (UNESCO) and entered into the Memory of the World Register. The Lifetime Achievement Literary Award went to South Africa’s legendary sangoma and shaman, Credo Vusamazulu Mutwa, who is largely respected for his predictions of world events, including the destruction of New York’s World Trade Centre in 2001, the 1976 June 16 Uprising, HIV, Chris Hani assassination, load shedding and the ousting of President Thabo Mbeki. Mutwa shares the category with other literary stalwarts, Aletta Matshediso Motimele, who is revered for her Sepedi works and Etienne van Heerden, an academic and prolific Afrikaans author. Veteran journalist, Don Makatile and Phakama Mbonambi jointly won the Literary Journalism Award. “Indeed, as its main aim, SALA continues to strive to become the most prestigious and respected literary accolades in South African literature”, says Morakabe Raks Seakhoa and Sindiswa Seakhoa, founder of the wRite associates, convenor and manager of SALA, respectively. The National Poet Laureate Programme and the Keorapetse Kgositsile Annual Lecture, in honour of the South Africa’s National Poet Laureate, Prof Keorapetse Kgositsile. The Miriam Tlali Reading and Book Club, in honour of the late author, Miriam Tlali. Africa Century International African Writers Conference and International African Writers Day Lecture, established in 2012.